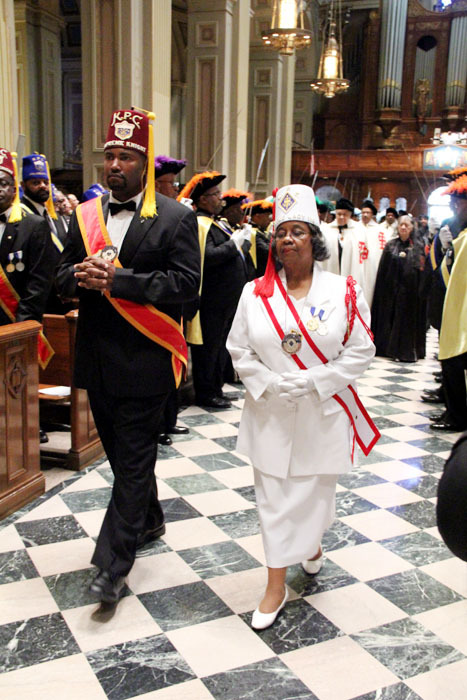 Supreme Knight F. DeKarlos Blackmon and Supreme Lady Vertelle A. Kenion process in to the Cathedral for mass. 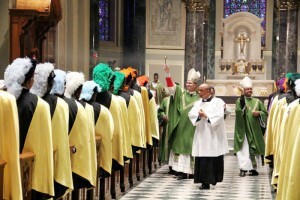 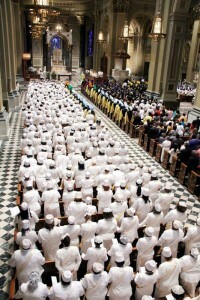 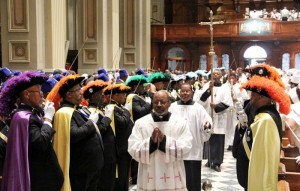 Knights of Peter Claver line the aisle of the Cathedral with swords drawn during the entrance procession for mass celebrated Bishop Timothy Senior. 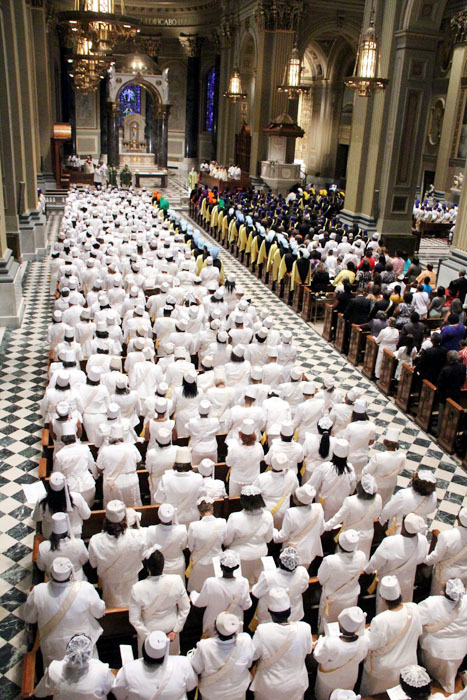 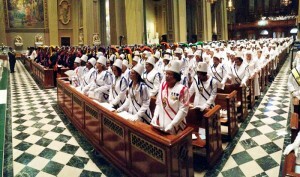 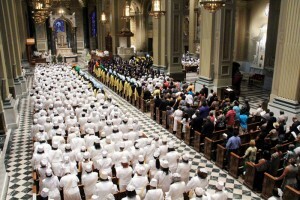 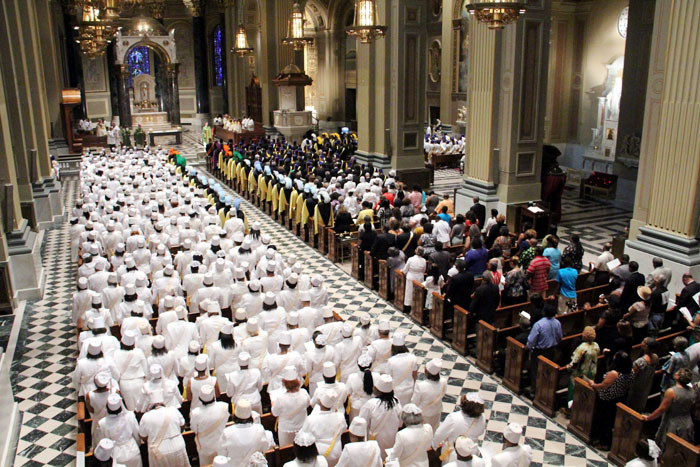 Impressive number of Knights and Lady Auxillary of Peter Claver fill the Cathedral Basillica of SS Peter and Paul for mass during the convention for the Knights of Peter Claver. 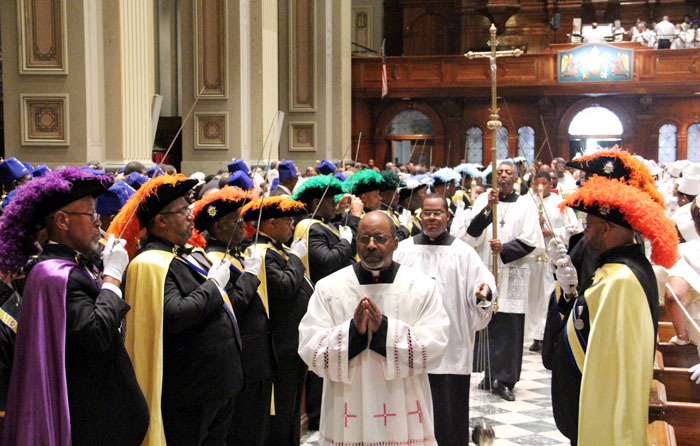 Bishop Timothy Senior, auxillary bishop of Philadelphia, and Bishop Martin Holley ,national chaplain of the Knights of Peter Claver, bless the people during mass. The Ladies Auxillary of Peter Claver attended mass in impressive numbers during the annual convention.